The Young and the Restless spoilers for the week of Monday, April 16 through Friday, April 20 reveal pacts are made as secrets are buried deep. Questions are raised while people remain mum. While some prepare to fight, others learn their fate. It promises to be an exciting week for Y&R fans, one you will not want to miss! YR spoilers for Monday, April 16 start with the ladies figuring out what to do with JT’s body. 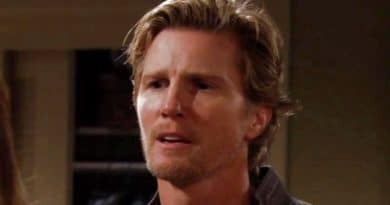 Y&R spoilers tease that all hell has broken loose at Victoria Newman’s (Amelia Heinle) home, when Nikki Newman (Melody Thomas Scott) hits JT (Thad Luckinbill) over the head and accidentally kills him, protecting her daughter from his assault. YR spoilers show the women making a pact, and promise to keep this devastating secret between them. Meanwhile, GCPD Police Chief, Paul Williams (Doug Davidson) pokes holes in DA Christine Blair’s (Lauralee Bell’s) case against Jack Abbott (Peter Bergman). Y&R’s bad girl Hilary Curtis (Mishael Morgan) is desperate to get back together with Devon Hamilton (Bryton James), but it appears she burnt the last bridge when she conveniently told Simone (Shanica Knowles) her and Devon “hit the sheets” together. Will Devon ever see through Hilary and her scheming, or does he see through her facade and truly see any good in her? Hilary may have taken things too far when she faints in front of Simone and Devon. Is this a stunt or could there be a bun in Hilary’s oven? All things are about to come to a head for Devon, who could really use a fatherly figure. How will Devon cope with Neil challenging him and his decisions when Kristoff St. John returns to the CBS soap after his mental health break? 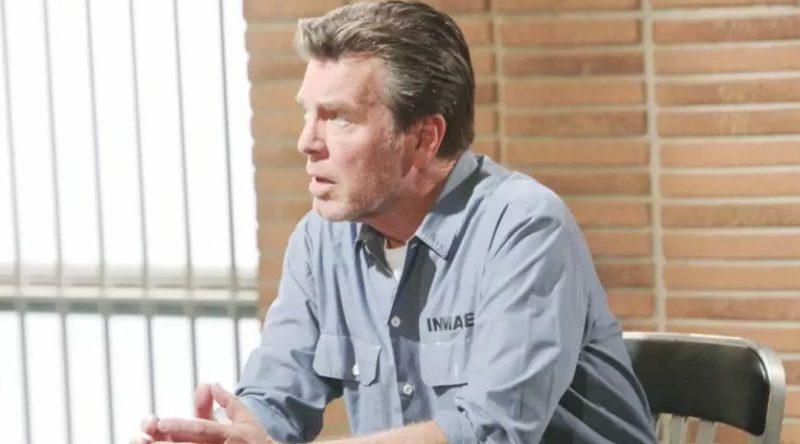 The Young and the Restless spoilers from She Knows Soaps reveal Christine visits Jack and he learns his fate as Paul continues to look for JT Hellstrom after they have issued a warrant for his arrest on the attempted murder of Victor Newman (Eric Braeden). Nick takes his brotherly role seriously and will do anything to protect his sister from her abuser JT. It takes Paul and Christine forever to figure out that JT is the culprit, not Jack and they must release the Abbott patriarch. Paul starts a manhunt for JT with no clue that the bad guy is taking a dirt nap. Ashley Abbott (Eileen Davidson) is ready to ally with Jack and take on Kyle Abbott (Michael Mealor) next week. Nikki makes a bold move on Thursday, but what does she do? She’s still trying to wrap her head around the reveal that Victor has a mistress that works for Jack! On Friday, it seems business as usual when arch-rivals face each other according to Y&R spoilers. Jack bee-lines it straight to Victor demanding answers once he’s out of jail. Phyllis Summers (Gina Tognoni) is of like mind, and confronts Sharon, issuing her a dire warning. Y&R fans wonder if anyone connected to JT can come out of this disaster unscathed. Plus, Kyle makes a risky move. That kid is playing with fire. Do you think the women are right in hiding what they did? Whose side are you on – Phyllis or Sharon’s? Be sure to check Soap Dirt often for The Young and the Restless spoilers, updates, and news! ← ‘Days Of Our Lives’ Spoilers: Chad And Abby’s Rough Road – Can Chabby Ever Recover?